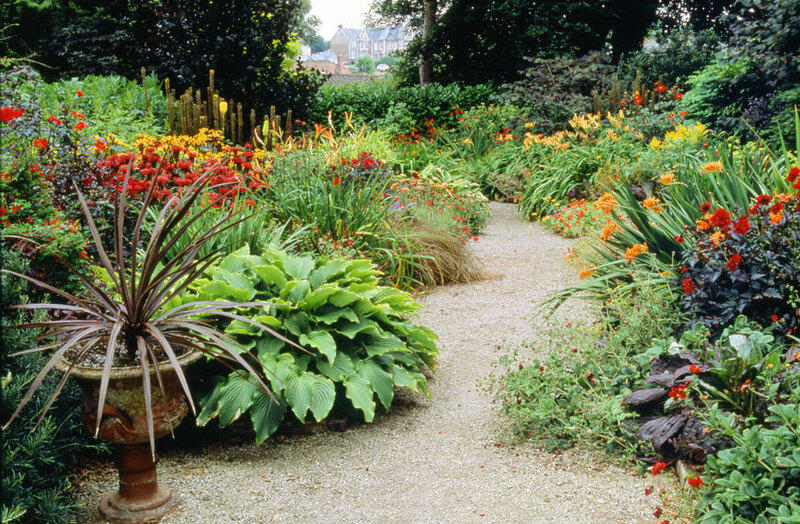 A firework display timed to explode in August with orange Crocosmias, yellow Heleniums, red Salvias, Lobelia and flamboyant Dahlias, all held together with a tapestry of sultry dark leaved foliage. Attached to the main house is a smaller secondary property, Bosvigo Vean, which is Cornish for “Little Bosvigo House”. We just call it ‘The Vean’. 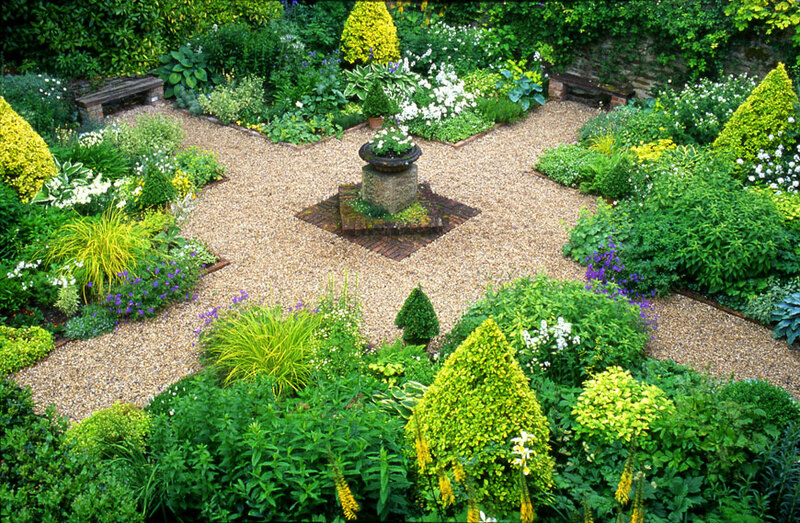 Its small front garden is divided by cross paths and the four beds are planted almost identically in white, blue and gold. Shaped cones of golden privet stand sentinel in each bed. In 1979 an ugly wing was demolished leaving the charming Victorian Conservatory standing. 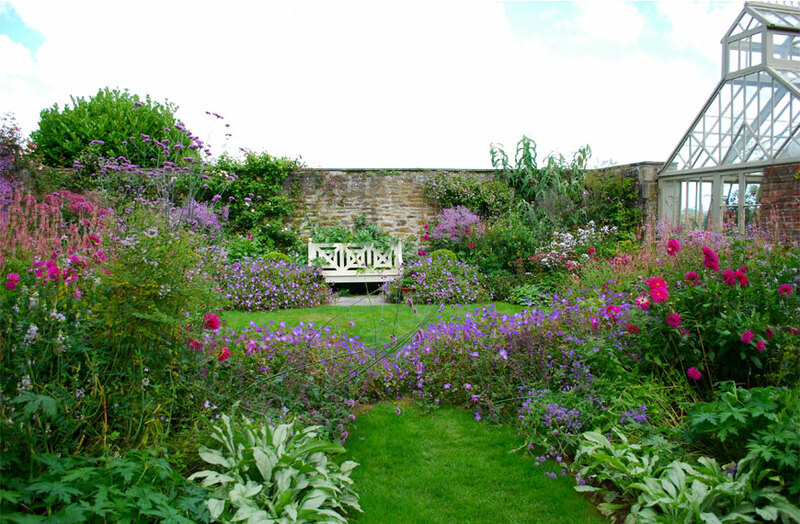 Using the stone from the dismantled building a walled garden was created. Planted in calm purples, pinks and blues with stately Thalicrums, old-fashioned roses, Campanulas, Geraniums and Asters creating colour harmonies from June to the end of September. 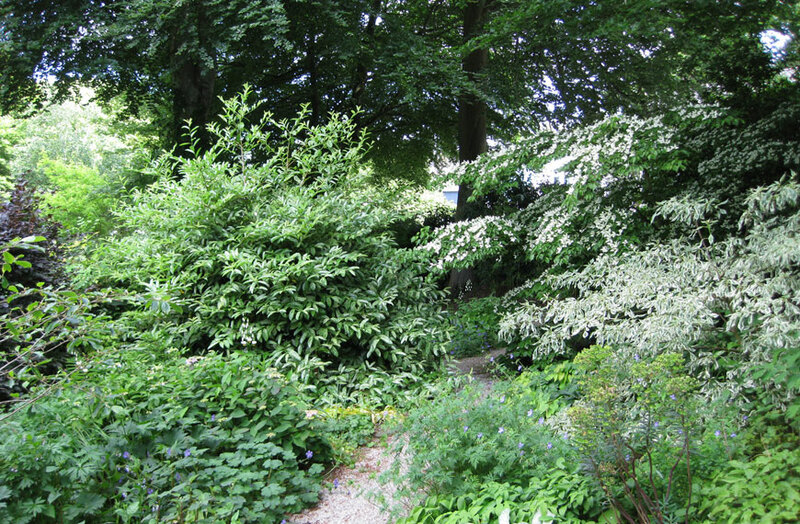 A sinuous path winds through the Woodland garden. In Spring, before the leaves open on the Beech and Sycamore, the area is carpeted with drifts of Snowdrops, Hellebores, Wood Anemones, Epimediums, Erythroniums and scented Narcissus.